Based in Eatontown, New Jersey, PVC Container Corporation is engaged in the design, manufacturing and sale of plastic bottles. Markets served include lawn and garden, automotive products, household chemicals, personal care, and medical. 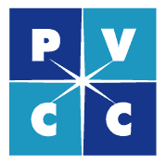 PVCC is well regarding for its ability to rapidly create and supply custom, high performing products with modest initial up-front investment costs.